In his quest to see a production by the legendary theater artist, Dallas director and actor Brad McEntire goes Down Under. "Peter Brook is retiring!? Noooooooooooo!" 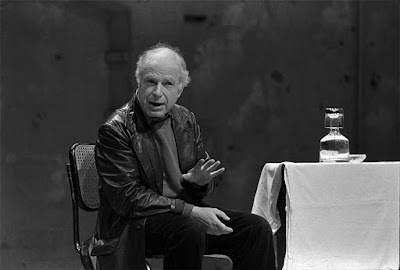 That was my first response last fall when I found out international uber-director, and one of my personal heroes, Peter Brook, would be handing over the reins of his beloved Théâtre des Bouffes du Nord and stepping down as Artistic Director this year. He is 85 years old. This means that, after 2010, there will not be any more Peter Brook productions. Time's up. So, in the glorious way theater works―you either experience it in real time or you miss out―the clock was ticking. Theater is transitory, after all. To be very blunt, if I wanted to see a Peter Brook production during my lifetime (and certainly before he passes on), it had to happen this year. Thus, I began a spirited Internet search for what was playing, where and when. Since he works in multiple languages, the hunt took on a nice element of challenge. Google Translate and I got to know each other really well. The search lead me to an English-speaking country, but on the other side of the world. l was headed to Australia. In a nutshell, here's who Peter Brook is in the world of theater. As a young man straight out of Oxford, ­Brook made his name as a master of eye-popping ­spectacle. As a young man he burned through the Royal Shakespeare Company, the West End and Broadway in a fever of ­invention, exhausting the possibilities of ­conventional theater before ­disappearing into the desert with a band of actors, including a young Helen Mirren. Brook suddenly stripped stages bare and let audiences' imaginations do the work for them. In productions like Marat/Sade and The Ik, he pared theater back to the human body itself; then, with poet Ted Hughes' Orghast, Brook went one step further by dispensing with words entirely in the search for a universal language of grunts, cries and sighs. Brook seemed to continually be searching for the shock of the simple, resurrecting the use of masks, mime and puppets from traditional ritual and performance, to show how little is needed to transport audiences. Yet here's the thing: His ideas, once so revolutionary, have now been so absorbed by the mainstream they have become obvious, even banal. It is easy to forget that Brook was the most titanic trailblazer of 20th-century theater. We all have adopted his discoveries so thoroughly into our own processes that he seems infinitely old hat. In fact, I’m no longer amazed when I meet young theater artists who don’t even know who he is. No one remembers the name of the person who showed us all which side of the street we should drive on either. Brook began to slip into exile in the late 1960s, shortly after writing The Empty Space, whose opening lines became the commandments on which modern theater was built: "I can take any empty space and call it a bare stage. A man walks across this empty space, whilst someone else is watching him, and this is all that is needed for an act of theater to be engaged." For three years, he tested his theories and the limits of his actors in every small African village they threw their carpet down in. He worked and reworked his own adaptation of the Persian epic The ­Conference of the Birds, travelling from the Sahara to the Niger Delta and then to India, Afghanistan and Iran, seemingly oblivious to the threats of dysentery and defection. The ­results of these ­experiments changed theater and made Brook the father of the fringe. Since the early 1970s he has lead The International Centre for Theater Creation (nicknamed the C.I.R.T. after the French translation of its initials: Centre International de Recherché Théâtrale) in a renovated music hall behind the Gare du Nord train station in Paris. Brook outlined his theater as more research than production, and used collaborators who were highly experienced artists from all over the globe. His main line of questioning was not how all these disciplines from around the world differ (he had Japanese Kabuki actors, French high-style classical actors, actors steeped in African ritual, American Method actors and English Shakespearean actors all together), but how is theater the same between everyone? Under all the styles and traditions, what connects performers and audiences? But what’s that to you? The description above cannot convey why he is so important to me. His writings and explorations―heck, the journey of his life―are filled with wonderful qualities that most artists, myself included, should use in examining one’s process. First, Peter Brook’s theater is about storytelling. Period. Secondly, he believes in the straightforward maxim: keep it simple. In fact, his "poor theater" aesthetic with mostly bare stages, where the actors simply tell stories in an impossibly clear and precise way, is about as non-glitzy and no-frills as it gets. There is a purity in his work that is rarely found elsewhere. Thirdly, he has a deep respect for the audience, who are more than just passive watchers and listeners. In Brook's concept of theater, the audience is essential; without it, nothing happens. “The relationship between the actor and the audience is the only theater reality," he once told an interviewer. 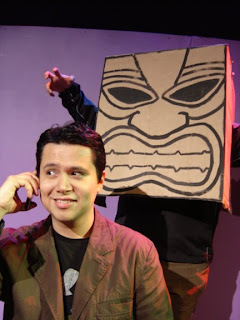 This idea puts Brook at odds with the traditional views of big-gun directors like Stanislavski, who seem to view the audience as, at best, incidental to their productions. (Brook admits he has “barely read” Stanislavski). Another refreshing thing about Brook is that he defines himself as a "searcher" rather than a guru, laying down a set doctrine to his followers. He will not be pinned down. He does his own thing. Always. For him, theater is a handy tool for expressing, not a delicate, sacred thing. His ideas continue to fascinate me, though he is the least didactic and preachy of artists. "The reverence with which Peter Brook is regarded can seem suffocating," writes Henry Hitchings in the London Evening Standard. "And no one is more aware of this than Brook himself, whose intellectual steeliness is matched by a disdain for those who label him a guru." In fact, of all the lessons I take from Brook is that a true artist should do his own thing. Always. He has succeeded in following his own search for truth—his own truth—for years, even when, in some cases, it has made him incredibly unpopular or unfashionable. When he left London for Paris, he took flack from commentators in his own homeland. For all the praise the English heap upon Brook, they tend to write with a note of incredulity that so talented an artist could possibly have chosen to live in a different capital city. Brook's motivations were pragmatic—the French were prepared to subsidize him to work in the slow, longterm way he wanted, the British were not. His move has served as a permanent challenge to the London-centric worldview. Brook has two pieces still on tour around the globe. One is called Warum Warum, a mash-up of acting theories that was playing at his home theater in Paris this month. It was in German with French subtitles, neither of which would have been remotely helpful to me. The other play Brook directed premiered last year, but was still on tour with two more stops. It's called Eleven and Twelve. It had stops at the Sydney Theatre Company in Australia in June and in Macau in July. Well, I’ve already been to Macau. Sydney it was. But could I afford it? Fortunately, it is winter in Australia during our northern hemisphere summer. It’s cheaper than flying to tourist high-season Europe. Get out of sizzling Texas to a place on the beach with temperatures in the mid-50s for a few weeks? Okay. So, from June 1 to 11, I was in Sydney, New South Wales. My first time in Australia. When I arrived, I immediately bought my tickets for the June 3 preview at the Sydney Theatre Company. Eleven and Twelve sounded like an idiosyncratic Brook production. The story is set in French colonial West Africa in the 1930s. And at its heart lies a bitter doctrinal dispute among the Suﬁ community about whether a particular prayer should be said 11 or 12 times. It's an argument, stoked by the interventionist French, that leads to fierce tribal divisions and violent bloodshed. And when the spiritual leader, Tierno Bokar, seeks to resolve the issue and bring peace by siding with the oppositional Chérif Hamallah, he ﬁnds himself ostracized by his family and followers and left to a lonely death. It has the trademark carpets and cushions for the actors to sit on around the stage wearing colorful robes and draped costumes. What is seen on stage is a distillation of a particular world, accomplished by pure craftsmanship. It has seven international actors, who would probably switch roles with profound ease. So, I was there. 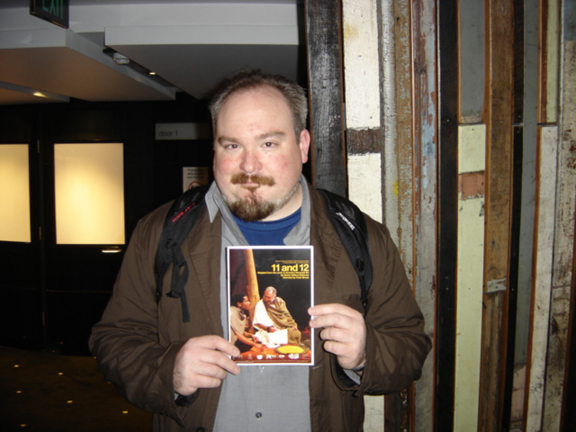 I saw Peter Brook’s theater live and in the flesh. I left with a clear understanding of a rather complex story. And that, in the end, is the best testament to Peter Brook and his theater. 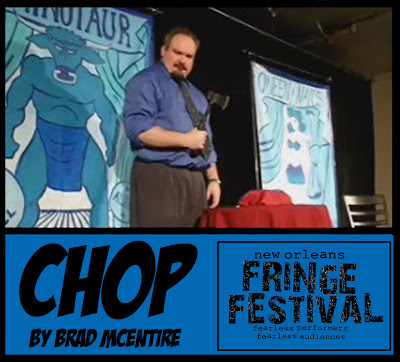 ►Brad McEntire is a playwright, performer and director based in Dallas. He is Artistic Director of Audacity Theatre Lab.